There you are in a professional development session on proficiency. The light bulb goes off! “Why have I not been doing this all along?” you think to yourself. 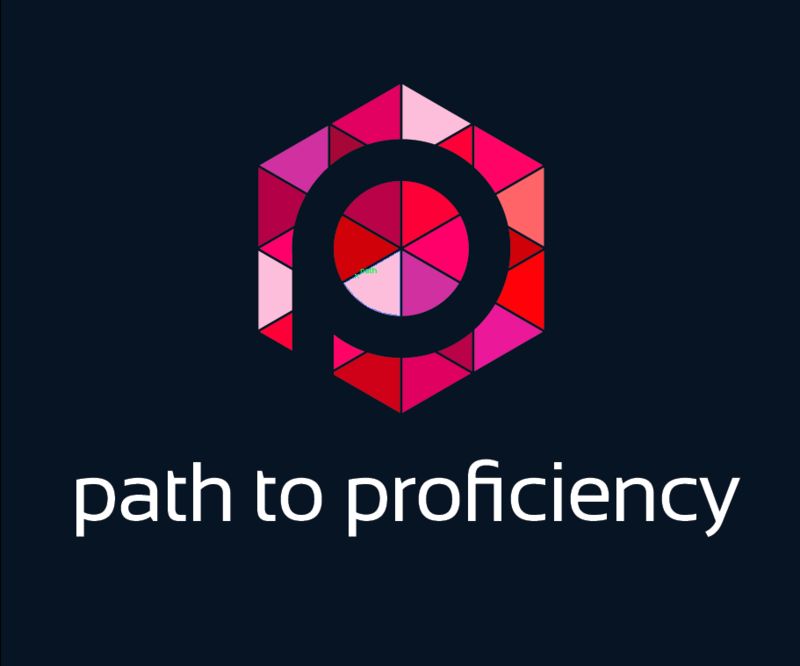 You find yourself looking for more information to help you make the shift to a proficiency-based practice. You find yourself reading blogs, participating religiously in Langchat, surfing the web for more information. Excitedly you begin to share your thoughts with department members and well their response is mixed at best. Disappointed you find yourself rethinking your perspective completely however it felt so right… No doubt this is a tough situation, but know you are not alone! We are all at different points along our journey of growth so it should not be surprising that everyone in your department may not jump on board immediately with the zeal that you experienced. Before becoming completely crestfallen, carefully review the situation. Is everyone against making a change? If not, who can you partner with to move forward? Can you make alterations in one level? Or just your own class? While it may not be a complete buy in, lasting changes many times start with small steps! Focus on the small alterations you can make that will help move in the desired direction. Also in situations such as these I would encourage you, as I have several of my own teachers, to focus on the parts of the situation you can control. You CAN control what goes on in your classroom, you CAN share without expectations and you CAN control your perspective and how you ask for support. Hone your focus so you can continue to grow. Focus on your practice, focus on feedback on your practice, and focus on sharing without expectation. We spend eight hours a day (ha ha… I know 10-12 hours a day is more realistic) at school. This is more time realistically than we spend with our own family. It is natural that we form tight relationships with many of our colleagues and many departments function like a family. Naturally, when we learn a new and exciting perspective that we believe can help our students and our colleagues practice – we share! Whether people want to hear what we want to share or not they hear about it! You have this energy that you have to share before you explode! While it may be in our best interest to share, it may not be in others best interests. Remember we are all at different landmarks of our professional journey. Honestly, like with students, we also don’t always know what the other person is experiencing or their frame of mind so it is not inconceivable that it could be the worst time for a colleague to engage in this exciting information. Do you share? Absolutely, but you share with no expectations. Focus on your practice. Share what you are learning and experiencing trying to improve your practice. Focus on your students and their performance. Sometimes colleagues need to see change in action because they cannot visualize it in their mind. How will your students’ performance change because of your instructional shifts? What modifictions are you making? Are they major changes or are you tweaking your practice little by little toward the practice that is in your students best interest? Ultimately all you can control in your classroom is you and your actions. Focus on becoming the best teacher you can be for your students. It’s ok to be the odd one who does things differently if it is in your students’ best interest. Once you begin modifying your practice, the next thing you need is feedback on the changes you are making. Feedback comes in many forms. Your reflections over the shifts in practice is one form of feedback you can use. It is important to reflect in a way that is natural and comfortable for you so that it becomes a habit. Whether you are making notes after each class in a journal or writing on a lesson plan at the end of school or during your planning period. Your thoughts over what is happening and what works or doesn’t are critical to making the shift happen and stick. Another form of feedback you can use is from your students. Our students are honest, sometimes brutally honest. Nonetheless students are our consumers or end users and they matter the most! Ask them for anonymous feedback, even if they want to put their names on it do not allow them. This keeps feedback honest and often more transparent. You can use surveys, or ask a question at the end of every quarter to even including questions on exit slips or classwork that eli cit student feedback. One of my favorite forms of feedback is from colleagues! Yes, you can ask colleagues who are supportive and onboard with your instructional modifications to give you feedback. Do not discount those who are not immediately on board with your changes. The TELL Project offers a variety of focused feedback forms that can allow you to engage your colleagues in helping you improve. Focusing on providing you feedback on your practice will engage these (perhaps resistant) colleagues in observing the shifts in your practice and the results. It is also evidence that change doesn’t happen overnight and you don’t throw everything away and start over. Think of the modifications you make to your instruction like a gourmet chef in training. A gourmet chef does not awake one morning cooking everything perfectly. They learn one technique or one dish and perfect it before adding to their repertoire. Teaching is no different. Focusing on your practice and small shifts then asking for colleagues’ support of your desire to be a better teacher for your students. Change has to start somewhere, and you are the courageous one who will start the ball rolling. Finally SHARE! I believe that every teacher wants to be the best, most effective teacher they can be for their current students. Perhaps the fear of failing them is preventing some members of your department from making changes. Working together to plan modifications and share materials can help make the process less burdensome for others. I like to think about paying it forward. We have all been the recipients of kindness from more experienced educators along our journey. Whether what was shared was good bad or indifferent matters not. What matters is that someone cared enough to try to help. A colleague shares their new favorite worksheet, how thoughtful. It may not be your style and you may never use it but it creates the opportunity to share from your repertoire. Sharing our successes are equally important. Have data from your latest performance assessment or AAPPL/STAMP assessments? Let’s look at them as a department. Have a student sample that you need second opinion on, as a colleague to listen and help you analyze the clip. Sharing your practice does make you vulnerable which creates the potential for things to go awry. Should that happen, pick yourself up, dust your self off and choose kindness. Use it as an opportunity to fail forward- to learn and grow. Your students will be better because of your efforts and that is why we teach and seek to grow as professional educators – Our Students. I wish that I could promise that these ideas would guarantee a smooth transition and unification of your department. They may not. You, however, will grow and your students will reap the benefits. Your students will become more aware of what they need to be successful language learners and carry that knowledge forward. On the other hand, they may be just what you needed to make the shift department wide. The only way we know is to try. The best part about this journey is that we cannot fail as long as we focus on growth: personally, for our students and for our colleagues/departments. Very much my experience when I first began at a new school 9 years ago. Not one bit of interest shown in professional development, organizations, or “new” practices. I worked on my own and shared online. Two years ago, some light went off for the group and they jumped into the pool. I remained neutral and supportive. I tried not to critique or be snide with comments like, “That’s what I’ve been doing for years.” It has taken some time, but each teacher is on his or her own growth mindset and timeline. Your comments on focusing on your own students, practices, and classroom remind us that we cannot force/require that teachers follow a certain approach or ideal. Many thanks for sharing! One tiny request: the font and color of the post are quite difficult to read. Any chance of choosing a darker/larger font? Merci! Absolutely. Thank you for this post. If I may contribute another piece of advice that has come from my own experience: sometimes, you simply can’t be a prophet in your own land. Even when you share in a way that is about your journey, your practice, your students’ achievement (and not intended to “force” colleagues to change to do what you do), it can be more difficult to advocate successfully for these changes within your own department. If this has proven difficult, you might try inviting the voices of others who have successfully implemented the change(s) but aren’t part of your school community. This can help make the conversation not only easier but more open and productive. Great suggestion! Thanks for sharing! Makes the conversation so much richer! This post is great!! I feel like this is a topic that has been neglected in a lot of the online chatter about proficiency based WL education. It is heartening to read this encouragement. I used to try to “convert” my department – and perhaps I was overzealous. I hit a huge brick wall and there isn’t even a chink in it after a few years. I am, overall, VERY happy with the changes I’ve made in my classroom and the results I’m seeing. The problem is, the students leave my classroom and move on to a strict grammarian who is completely unimpressed with their knowledge since they can’t fill in the blanks and do conjugation charts. The other teacher feels that level three students should have perfected their verb forms in the present, past (imperfect and preterite), future, and subjunctive. And since my kids struggle when put in situations they aren’t used to (ie “fill in the blank with the preterite form…” etc. etc. ), she claims that my methods don’t work and that I’m not teaching them. This causes me to question everything despite the encouragement I get online. It is awful and has brought me to the point of looking for a new job many times. I just don’t see a way out of it and I feel like my kids suffer for it. I know she is even more frustrated in me than I am with her but I cannot go back to the grammar method – which made students and myself miserable and didn’t show results in all students. Any suggestions for a situation like this one? I would suggest getting evidence. Consider if there is a way to administer AAPPL or STAMP to students. The data is hard to refute. At this point it seems that it is just “opinions” and the data would help shift from the current situation to real results. Kids need grammar but for a communicative purpose. Maybe looking for this data and concrete evidence to provide feedback to all those involved on how to best develop students. Thank you Alyssa – that is helpful. I’ll look into having those assessments on campus! Part of the problem is that the high level, “language oriented” kids DO gain a lot of language from her approach, but the majority end up hating it and losing the ‘spark’ they had going in. And kids who aren’t innately good at language suffer and get awful grades and destroyed confidence (for example, she doesn’t believe in slowing down her speech, so if you don’t understand her, you are totally left behind). I would be willing to bet that some of her kids would do great on assessment, however I think that my kids would have a higher overall rate since I try my best to bring everyone along with the class and leave no one behind. I hope that makes sense. Anyway, thanks for the suggestions and I’ll start my investigations! !